This small double vanity features two under sink cabinet storage spaces and two large drawers for stowing personal items. 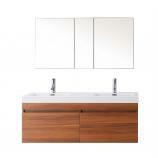 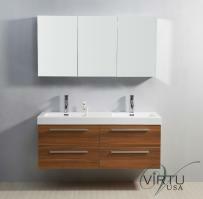 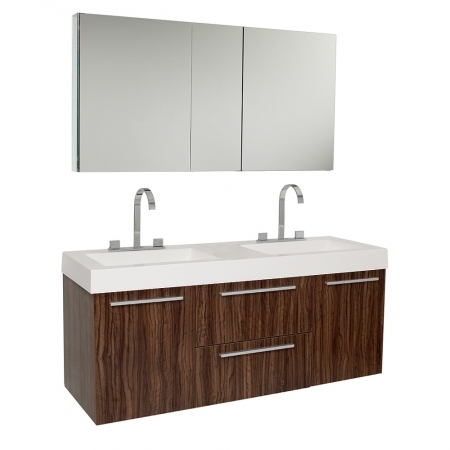 The integrated white acrylic counter top includes two sinks. 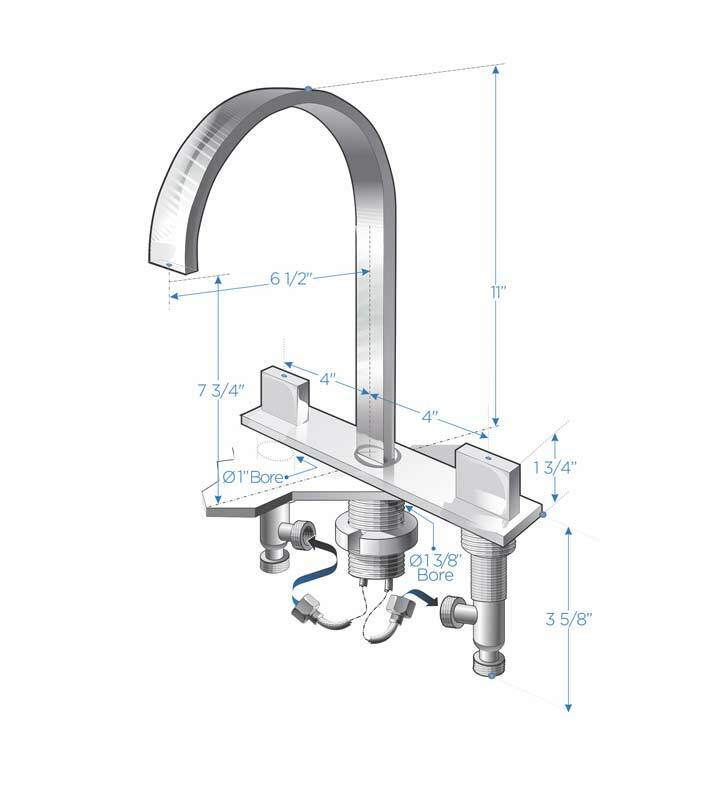 Chrome faucets and drains come for both sinks. 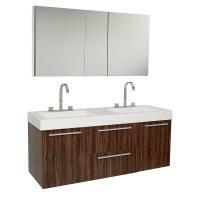 Set includes an extra white mirrored medicine cabinet with two doors for added organization.